Opis: Amateur Clubs and Actors (Classic Reprint) - Elliot W. G.
You dare rush in where actors tread with fear. Some love of Fame with love of Art may mingle. Need not be kept for ever to straight lines. 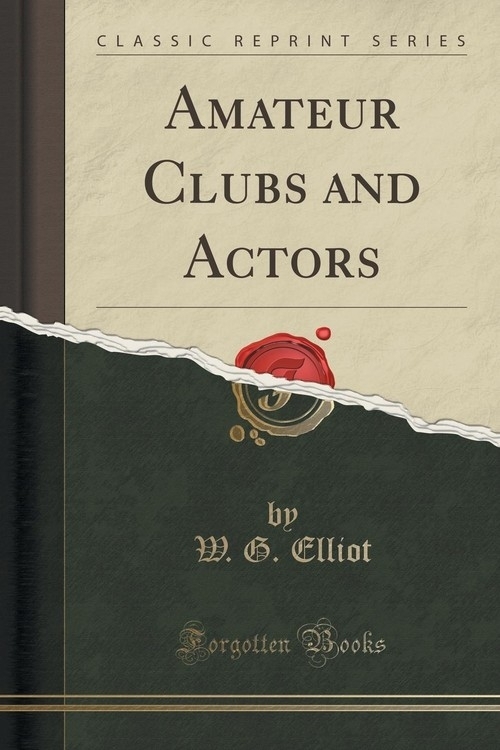 Szczegóły: Amateur Clubs and Actors (Classic Reprint) - Elliot W. G.
Recenzje: Amateur Clubs and Actors (Classic Reprint) - Elliot W. G.